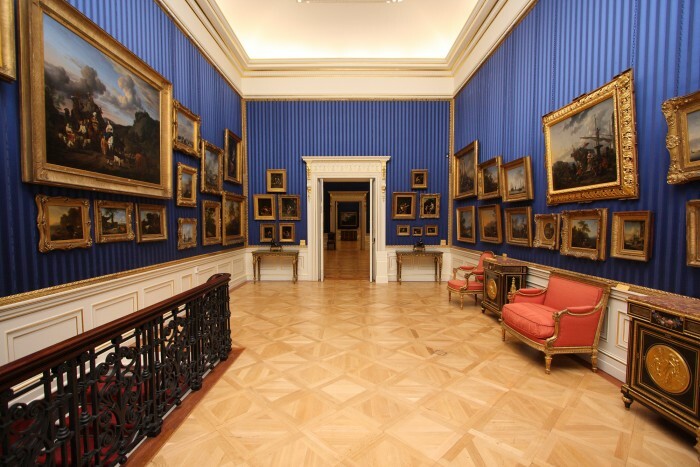 On 20 March the Wallace Collection in London reopened its refurbished galleries for its outstanding collection of some 150 Dutch paintings, many of which were in famous French collections of the eighteenth century. The display reflects the particular strengths of the collection: paintings by Rembrandt, genre paintings and Dutch and Italianate landscapes. 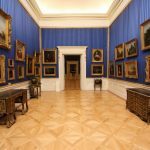 Rembrandt and his pupils, including Gerrit Dou and his workshop and Govert Flinck are displayed in Gallery One, together with superb landscape paintings by Jacob van Ruisdael, Allart van Everdingen, and Meindert Hobbema. Flinck’s Landscape with a Coach (once attributed to Rembrandt) links these masterpieces to Rembrandt and also to the monochrome, winter and moonlight landscapes of Aert van der Neer. 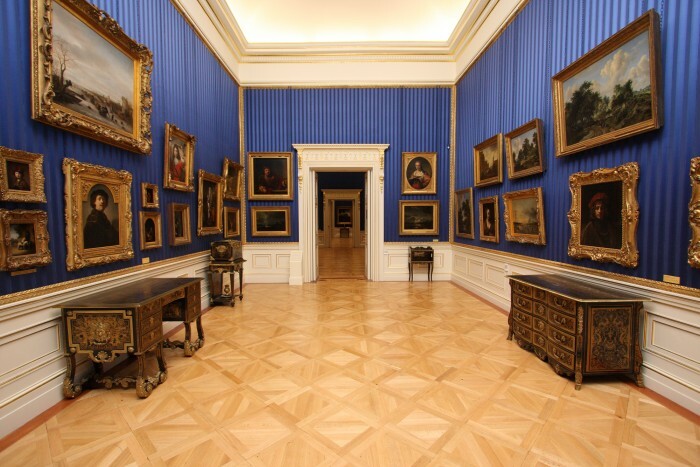 Gallery Two is dedicated to depictions of domestic interiors and genre scenes, with ‘high life’ interior scenes by Gerard Ter Borch, Gabriel Metsu, his pupil Caspar Netscher, and Eglon van der Neer and five satirical paintings by Jan Steen. Particular highlights are Netscher’s The Lacemaker and Metsu’s The Sleeping Sportsman. Other masterpieces include three topographical views by Jan van der Heyden, paintings by Paulus Potter and Adriaen van Ostade. Gallery Three features another great strength of the collection: landscapes inspired by Italy and the conception of the ‘ideal landscape’ invented in Rome by Claude and Paul Bril, as well as the later generations of the Leiden ‘fijnschilders’, particularly Willem van Mieris. The display centres around Adriaen van de Velde’s Migration of Jacob, a history painting unique to the artist in its scale and subject matter, and Nicolas Berchem’s Southern Harbour Scene. 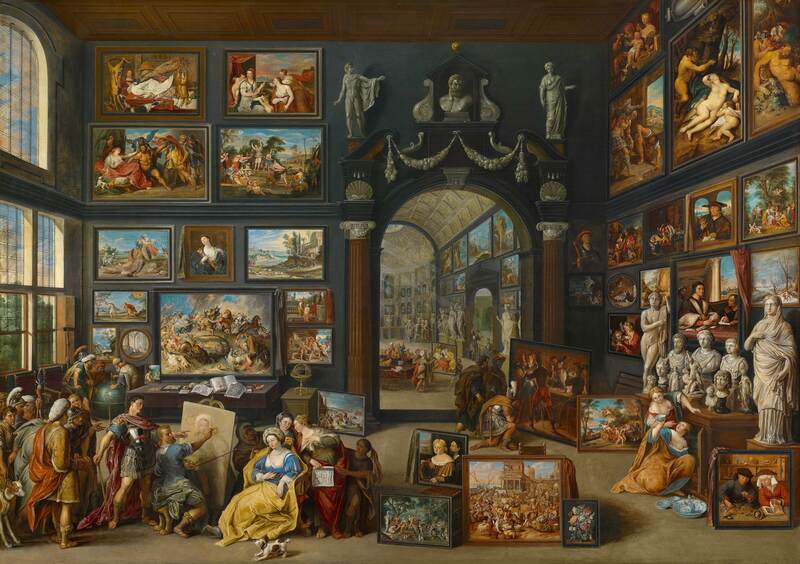 They are surrounded by fine Italianate paintings by Berchem, Jan Both, Karel Du Jardin, Adam Pynacker, and a notable group of paintings by Philips Wouwermans, including his renowned Horse Fair. This gallery appropriately leads into the Great Gallery, featuring the international Baroque with its centre at Rome. The galleries have been substantially remodelled, with the low ceilings installed in the early 1980s removed to return the rooms to their original height and also to bring in more natural light. 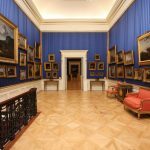 The paintings are revitalised by their display on blue silk, evoking eighteenth century French art collections and the Dutch collection at Carlton House. 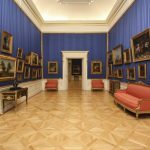 In recent decades the Wallace Collection’s Dutch pictures have been displayed together with the smaller collection of Flemish paintings. 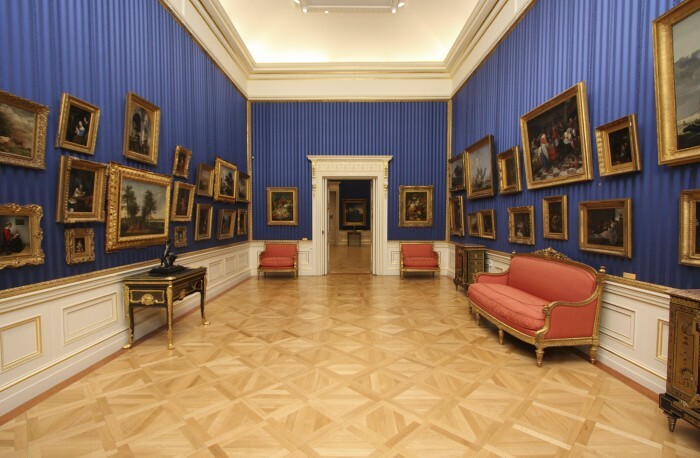 In the new hang, however, they have been separated, with the adjacent East Drawing Room scheduled to reopen in September 2012 displaying masterpieces of Flemish painting.